It’s funny, but when I started out the hardest part of writing wasn’t the actual writing. It was the pitching. I guess it’s kind of logical, actually. I’m not a pitcher, I’m a writer. That’s why I got into the writing gig. And so I’ve got experience in that department. It’s the pitching that I didn’t know how to do. What’s more, I didn’t feel very comfortable doing it. Going by what I read online, I’m hardly the only one in this boat. In fact, I suspect a huge number of very skilled writers don’t end up making it in the writing game because this is what they struggle at. For that reason, today I’m going to reveal a few of the secrets that I’ve picked up along the way. Hopefully, they’ll mean a few more gifted writers (whether experienced or otherwise) manage to hang in there. Editors do not have a lot of time for you. I’m sorry, that’s the way it is. Running a website or a magazine is a lot of work. For that reason, make life easier for them by getting straight to the point. Jump straight into your pitch, without any unnecessary preamble. And with that I don’t mean in the body of your email – I mean right in the subject! Start off immediately with the title of the piece you’re proposing and what kind of piece it’s going to be. 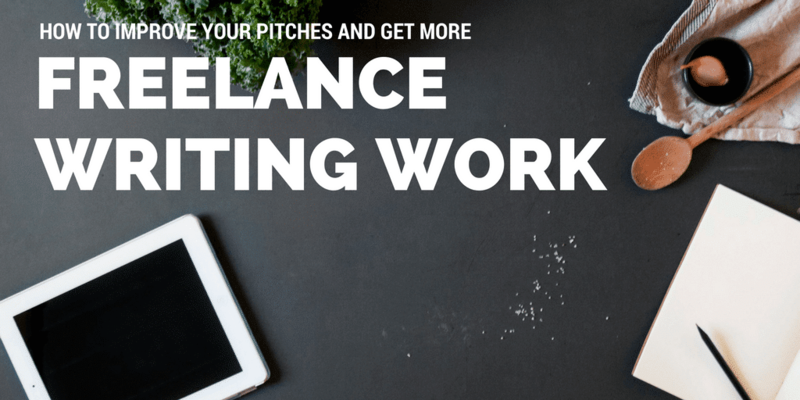 So, for example, ‘How to Improve Your Pitches and Get More Freelance Writing Work’ [Blog post]. This will help the editor know exactly what you want, without having to delve through lots of text. And that will immediately make them better disposed towards you. There is no quicker way for somebody to abandon the reading of what you’re writing than by offering them a wall of text. That will simply serve to get their hackles up and make it less likely that they read more than a few words into it. Instead, use the power of spacing. White space can serve to emphasize points, help readers along and create a nice flow. Even better, use headings, bullet points, and lists, where possible, as this will serve to make your text even more readable. How long should paragraphs be? Well, that obviously really depends and is ultimately subordinate to whether you managed to make your point or not, but I normally advise against anything that goes past seven lines, as then you’re moving past the easily scannable right into the hard slog territory. Are you writing ‘to whom it may concern’ at the top of your email? Well, then you’re probably missing out on a lot of jobs. Because, though we might not think it matters, when people use our first name, we are far more likely to feel connected to them, as one MailChimp study reveals. And as connection means reaction, that’s worth it. So take a little time to find out what the name of the editor is. Normally, it will only take a few minutes of scanning the site, in which time you might well find out other very useful things about the style of the site that will help you personalize the pitch even more and thereby raise your chances even further. Sound like too much work? Well, would you rather have to send one pitch and get it accepted, or send a few dozen and watch them all get rejected? Then personalize your darned emails! It’s amazing how many people only seem to scan the submission site and not really pay any attention to what they read, particularly because it’s submission suicide. I can tell you from personal experience if you’ve gone through the effort of crafting a good submission website, that includes all the information your applicants need, and then people don’t even take the time to read it, you’re liable to blow your top. And that is obviously not the reaction that you’re after in the editor you’re approaching. So read the website. Yes, it takes time. Yes, it’s boring. But this is the same formula as I outlined above, would you rather send out a few applications and get them accepted, or would you rather send out lots and lots and get them all rejected? Editors have a lot of applications, it’s true. But the vast majority of them are poorly crafted, ill-considered and full of grammar mistakes to boot. If you can do better than them then you’re going to frequently be in the running for a writing job. And once you’re in the running, some will come through. That’s just the way it works. 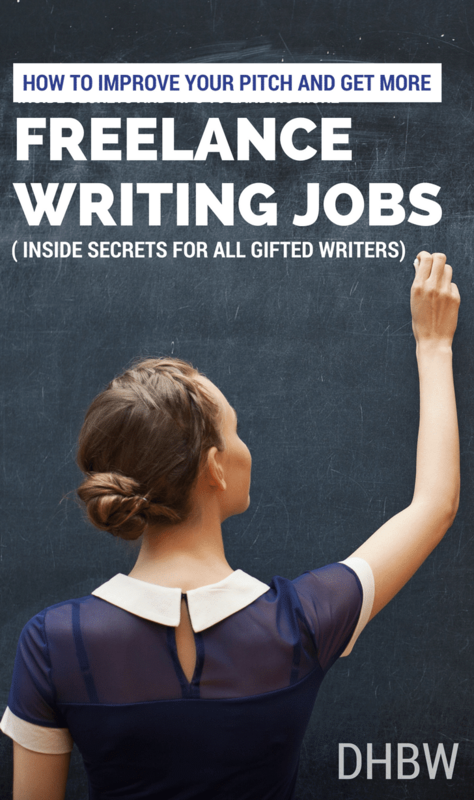 And then you can hone your writing skills and improve your writing imagination. From there you’re only a few small steps removed from a home-based writing career or perhaps even a freelance career from the road. What’s more, you’ll get paid for them – which makes them a great deal easier to take than any of the steps you’ve had to take until now.